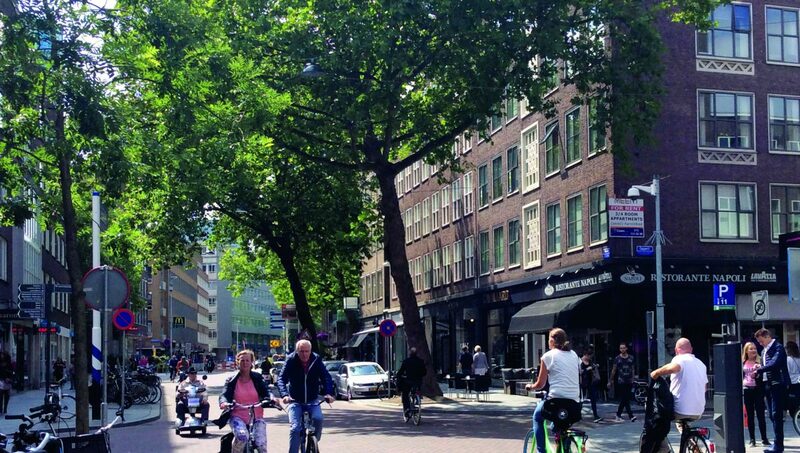 Over the last years, developer and building owner, Robin von Weiler, has played an important and well-appreciated role in transforming a declining shopping street in Rotterdam into one of the hotspots in the city. The Meent now has the lowest vacancy rate in the city centre of Rotterdam. The effects of the street’s popularity have impacted surrounding areas. More high-quality shops have come, and the area is sought-after for housing, restaurants and public events. With the newly-opened Markthal and the revitalisation of the central canals, this part of Rotterdam attracts international attention. WHAT WAS TIPPING POINT FOR THE MEENT? The opening of “Vlaams Broodhuis”, a well-known bakery, in a formerly unsuccessful employment agency, queues started and almost immediately gave the adjacent real estate a boost. Before Vlaams Broodhuis, the street was in decline, but not enough to take serious action. The bakery owners saw the potential, were confident of their brand, and searched for the right location with a large curbside terrace. Von Weiler and the owner of the block helped the bakery acquire suitable space by showing and leasing them the space, but also by removing the temp agency. Coping with permanent change is another key component. According to von Weiler, standard demands for a well-functioning street can change over time, but the values remain the same. The values on the Meent, such as the characteristics of the buildings, the ease of crossing the street, and the length of the street are important to maintain. The length is not the distance from West to East, but the sum of walking along shops opposite each other. If a street entices people to cross while shopping, the experience of the street becomes longer. Currently, the Meent has one weak crossing: opposite the large WTC office building no shop front exists, but a closed plinth. The shops on this side are effectually less popular. The success of the Meent attracts investors. Yes, that’s a good thing, but doubtful side-effects linger. Higher end fashion brands, without roots in the city, discovered the Meent as potential new store locations. The Meent has relatively low rents compared to streets in similar-sized cities. Shop owners subsequently raised their asking price but high-end tenants pressed further. The increase in the rent changed the game. Existing tenants were faced with higher rents and increased local taxes, a major burden to their businesses. New tenants quickly realized that rent were higher than profit. Both new and existing tenants struggled. A good analysis of the value of the street was obviously lacking. Simple measures like a pedestrian counting mechanism – how many people pass by- in the street for shoppers would help to prevent unrealistic rents to be asked, and problems for tenants. Von Weiler knows that he cannot control market parties and their strategy for profit. To maintain balance, he spends a lot of time mediating and informing and always aims for high quality tenants. Restaurants and bars are often an asset to any street, and also the Meent. The city plays an important role here. The city’s “Horecaplan” sets the guidelines for the mixture and the quality. Guarding this mixture might be the biggest challenge for the coming years. The right balance brings quality, while the wrong balance is problematic. The Meent has all the opportunities to stay successful. The basic conditions for the street are good. The function of the street as the most import east-west connection in the city centre, the building and street design are popular. But even more important is that the street developed a culture of maintaining the quality. Robin von Weiler, together with his coalition of tenants, the city and owners, kissed the sleeping beauty. Now that she is awake the whole coalition, from the city to tenants and owners, despite their individual interests, share the goal to keep the sleeping beauty awake. Involvement brings quality. Owners of buildings who don’t care about surroundings are a risk. But they cannot be forced. “If you want to improve the area, you have to work on it yourself,” says von Weiler. Tenants and professionals who want to make a difference and go for quality can help. When needed they are hand-picked by von Weiler and asked to participate. To avoid complaints from tenants who don’t feel invited to participate, overinforming is an answer. People cannot complain about too little communication, and will help to improve it. 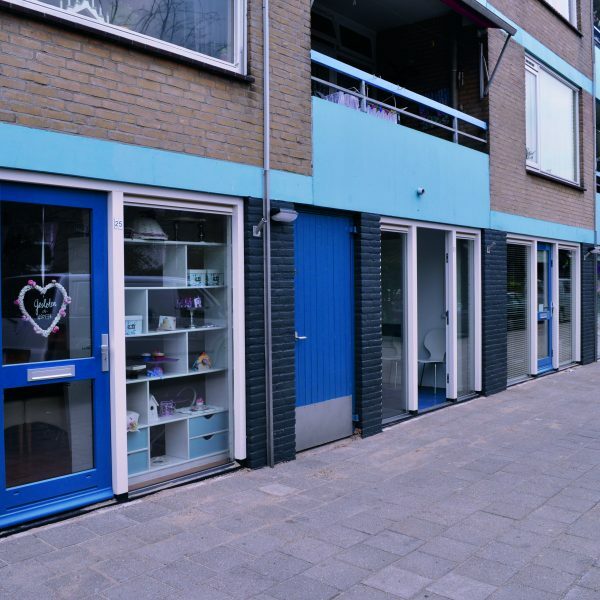 Small things matter: 30 centimeters more or less width of the pavement, the height of the doorstep, it can be vital for the success of the street and the building. Von Weiler looks at those details, and compromises with the coalition. 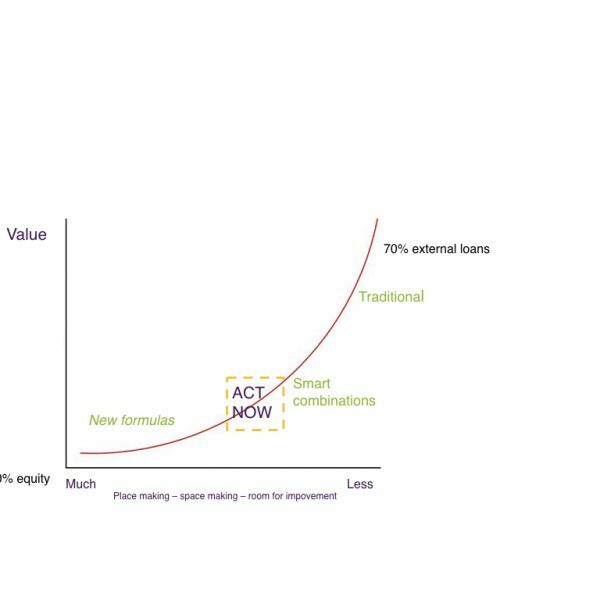 Since their aim is a sincere quest for quality in a realistic financial context, people are willing to help. The added value of the development for the city is enormous. But to keep adding value, lasting attention is needed. A street has new challenges all the time. Involved and dedicated individuals like Robin von Weiler make the difference.